The Home Office recently announced that they would be spending an additional £500,000 to help communities combat youth violence. They also announced the expansion of their Ending Gang and Youth Violence frontline team to cover four more priority areas. 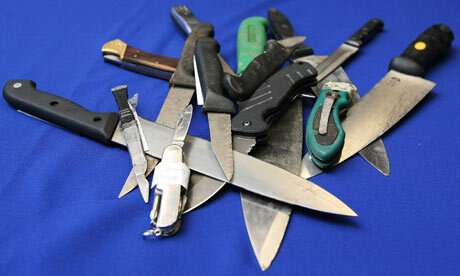 Gang culture is a major influence on knife crime, being a factor in as much as 60% of cases according to Metropolitan police estimates. The support is aimed at changing the mindset of young people at risk of becoming involved in gang and knife crime. This money is in addition to £18 million of funding already committed by the Home Office until 2013. The funding not only supports enforcement and prevention, but also provides positive activities for young people to engage in. There is a clear emphasis on changing attitudes and behaviour. Perpetuity has done a lot of work on gang and youth violence, including work on tackling knife crime. While it is often high profile cases such as fatal stabbings that are covered by the media it is important to look at the early stages, at how we can keep vulnerable young people out of the criminal justice system. You can read more about our work on violent and knife crime on our publications page. You can read more news from the Home Office on their website.